Okay, but what do I need to show to prove that Res Ipsa Loquitur should apply in MY medical malpractice case? Courts in Kaufman, Rockwall and other surrounding East Texas counties, like Smith county, all have to apply the same law. The law in Texas we must first look to is chapter 74 of the Texas Civil Practice and Remedies Code. 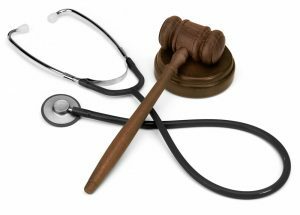 It provides that Res Ipsa Loquitur only applies in Medical Malpractice “where it has been applied by the appellate courts of this state as of August 29, 1977.” Tex. C. Prac. & Rem. Code 74.201. As of 1977, Res Ipsa Loquitur had only been applied in three recognized areas of health care liability claims and they are (1) negligence in the use of mechanical instruments, (2) operating on the wrong body part, and (3) leaving surgical instruments or sponges inside the body. Kingwood Pines Hosp., LLC v. Gomez (App. 14 Dist. 2011) 362 S.W.3d 740. That means that if a surgical sponge or other foreign object was left in your body after surgery and you were injured as a result, you not only have a medical malpractice claim against your medical provider(s), but you will be able to utilize Res Ipsa Loquitur in order to lower you burden of proof in court. HOW DO I USE RES IPSA LOQUITUR IN ORDER TO LOWER MY BURDEN OF PROOF AT TRIAL? (2) the instrumentality causing the injury is shown to have been under the management and control of the defendant. Haddock v. Arnspiger, 793 S.W.2d 948, 950 (Tex.1990). Demonstrating that a sponge was left in your body and producing evidence that the doctor you have sued was in control of the sponge or other object at the time of the accident all you need to show and the negligence of the doctor is presumed. However, this does not get you around the expert report requirement for medical malpractice claims. However, if you produce enough evidence to demonstrate that Res Ipsa Loquitur should be applied, then proving your case once you get to trial becomes much simpler. Have You Been Injured As a Result of Medical Negligence in the State of Texas? Call Guest and Gray, P.C. Today!